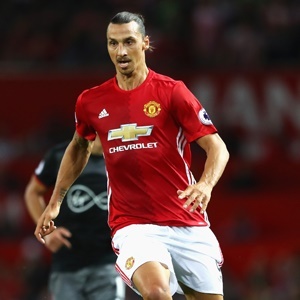 Cape Town - Manchester United striker Zlatan Ibrahimovic insists the club can still catch Manchester City in the race for the Premier League title. Ibrahimovic made his return from a long-term cruciate ligament injury on Saturday as the Red Devils beat Newcastle 4-1. However, Jose Mourinho's men are still eight points behind City, who beat Leicester 2-0. Despite the significant gap to the league leaders, Ibrahimovic remains bullish about United's chances of claiming the league silverware and is eyeing the Champions League as well. “I think we can chase City, why is it not a possibility?" said the Swede, according to Goal. “We are all here because we want to win and we need to because they are first. “Jose Mourinho knows what he is doing even when the number of players are limited because he’s a winner and has been winning every season. “I think there is a possibility for everything. We were early into it last year and won two trophies and we are stronger this season. The 36-year-old came on as a second-half substitute in the win over Newcastle, replacing Anthony Martial.